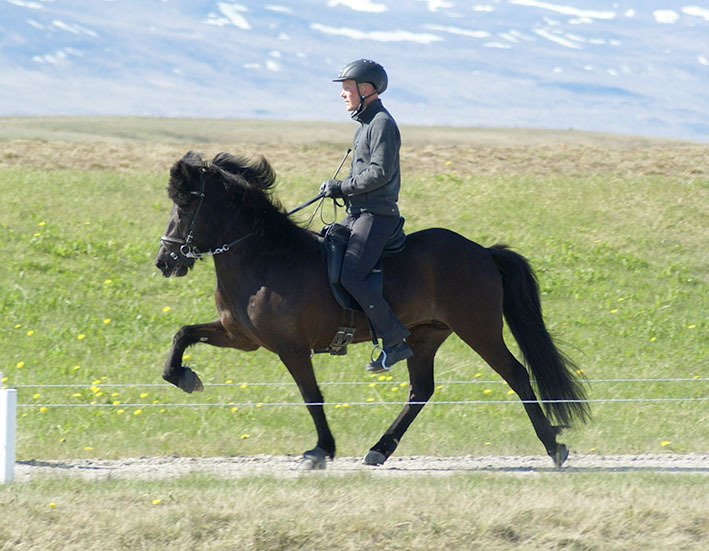 Freyja is a full sister of the landsmot winner in tölt, Ras frá Ragnheidarstödum, and got 8,0 for tölt when she was only four years old. 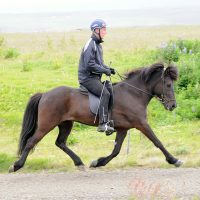 Freyja has extremely high leg action and according to her trainer Toti Eymundsson she was one of the most talented horses he has broken in. 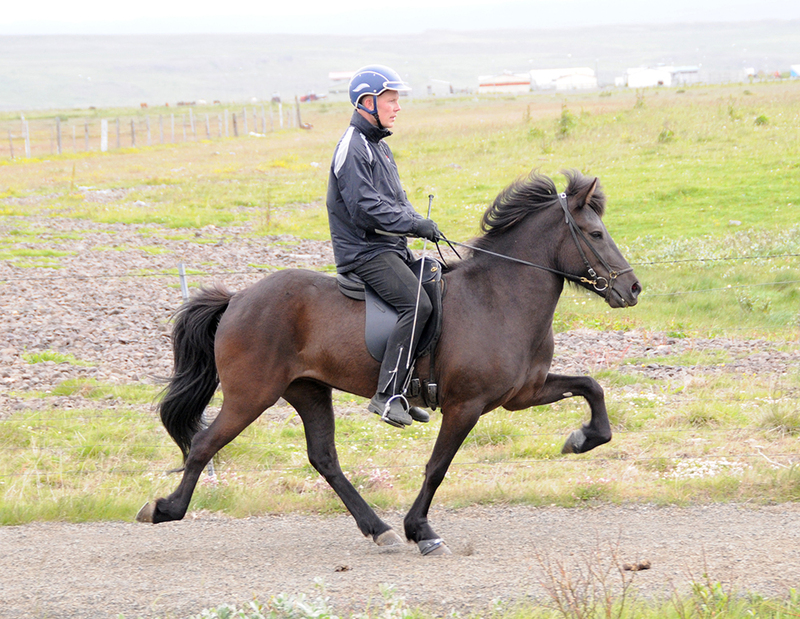 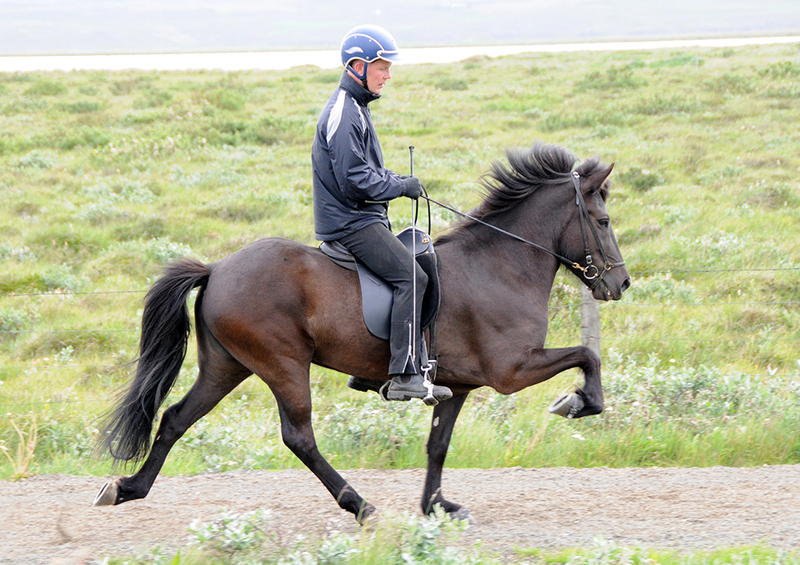 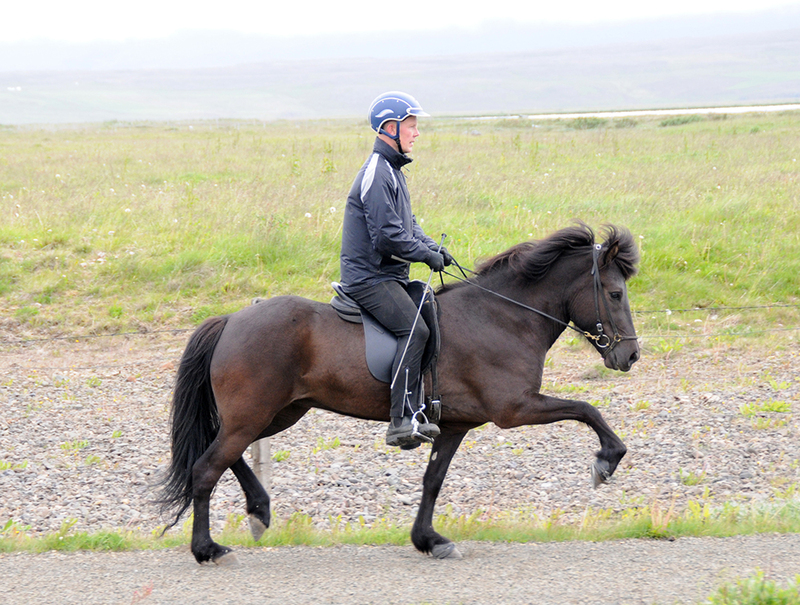 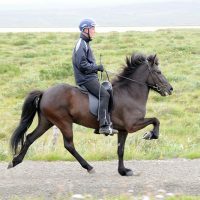 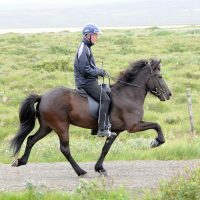 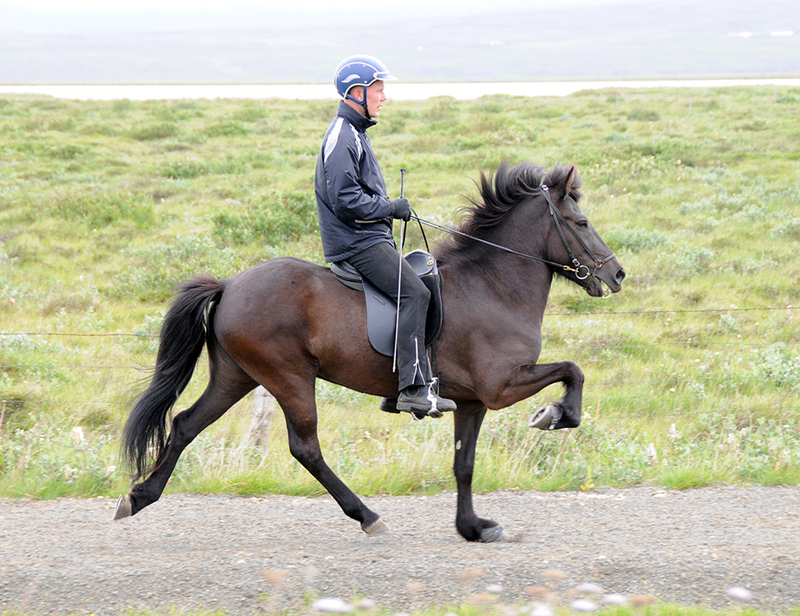 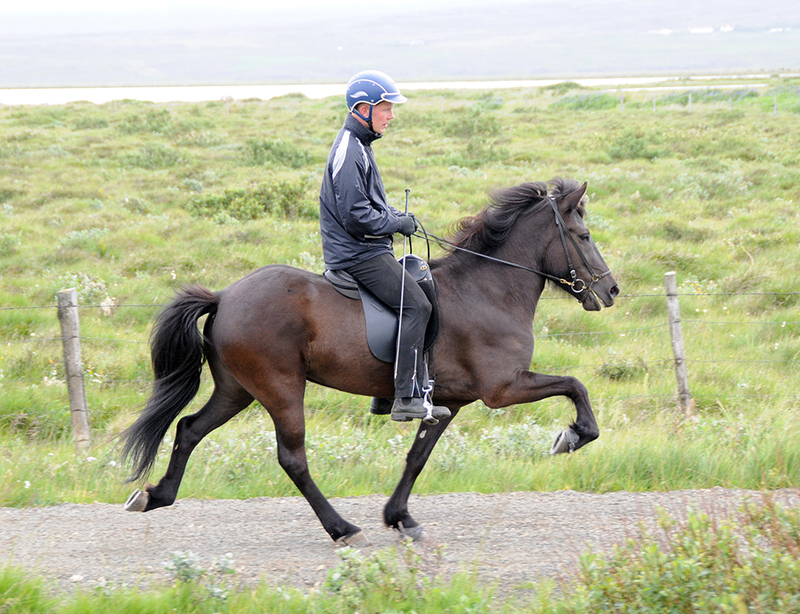 Freyjas father Orri fra Thufu is a legendary honour prize awarded stallion that needs no further explination. 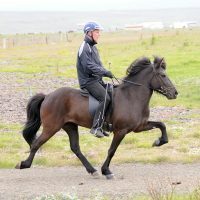 Freyjas mother Krás frá Laugarvatni is a good inheritor with nine highly judged offsprings. 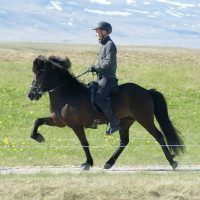 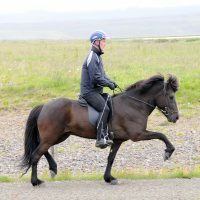 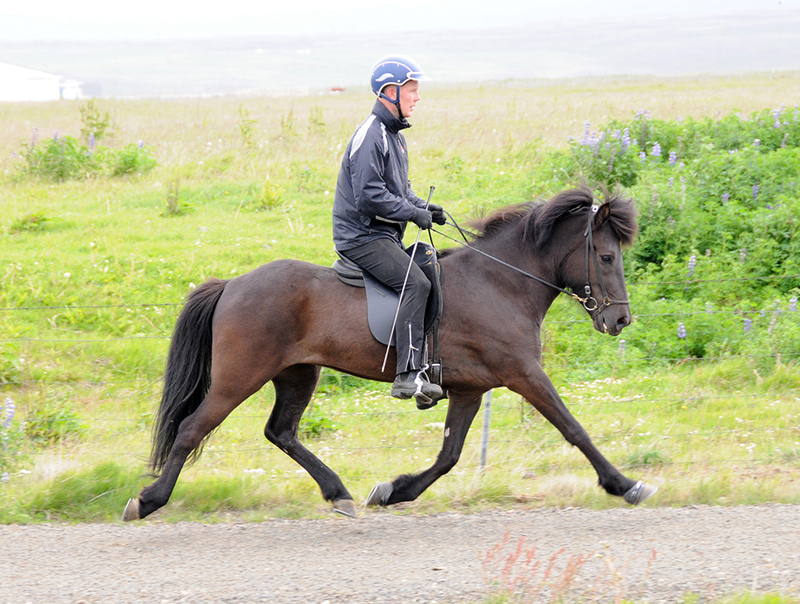 Krás has a rideability point of 8,64 with 9 for tölt, trot and pace. 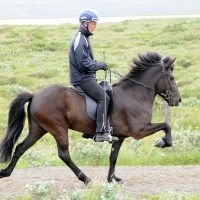 We are co owning Freyja with Lena Nyström and we will cover her and get her foals every second year.